In an interview with reporters after a Dec. 29 victory over Tulsa, Florida State coach Leonard Hamilton described high-energy forward Terrance Shannon's performance by saying he has the ability to "create havoc." Perhaps Hamilton had a premonition of what was to come a few months later. Shannon will have the chance to create more havoc because he's transferring to VCU for his last year of college eligibility, CBSSports.com first reported Thursday night. The 6-foot-8 rising senior graduated this spring and will be eligible to help the Rams attempt to win a revamped Atlantic 10 and return to the NCAA tournament next season. At first blush, Shannon's departure appears to be a bigger coup for VCU than it is a blow to Florida State. Shannon was likely to come off the bench for the Seminoles behind fellow seniors Kiel Turpin and Okaro White and his exit frees up a scholarship for Andrew Wiggins should the nation's top-ranked recruit choose Florida State later this month. More playing time should be available at VCU, where Shannon will likely play alongside top big man Juvonte Reddic and enable the Rams to play a more traditional lineup instead of the four-guard look they went with a year ago. Shannon averaged a modest 8.7 points and 5.6 rebounds last season, but relentless effort, explosive athleticism and high character makes him a good fit for VCU's frenetic, trapping style of play. Of course, the addition of Shannon isn't without some red flags. 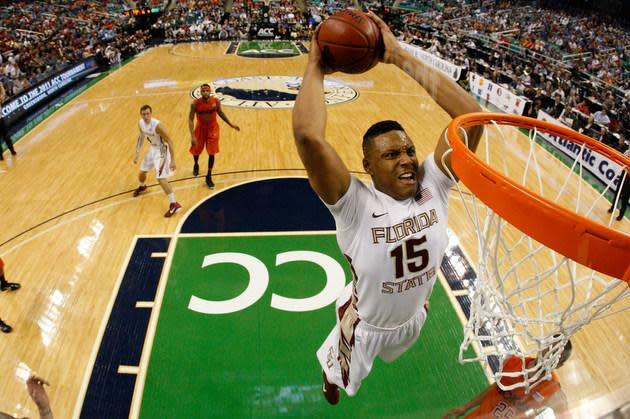 In four years at Florida State, Shannon played in barely half the Seminoles' 144 games as a result of injuries to both his knees, his neck and his left shoulder. Shannon also hasn't developed a consistent mid-range jump shot or a back-to-the-basket game and he has shown a tendency to foul too often. Still, Shannon is an ideal one-year risk for VCU. He'll provide size and athleticism that should help the Rams defend in the half court against a team that can break their pressure. And his lack of a well-developed offensive game will be obscured somewhat by the fact that he runs the floor well and so many of VCU's buckets come in transition.